“We know that developing healthy behaviors in adolescence such as eating breakfast every day and eating family meals can have long-term effects into adulthood,” says Virginia Ramseyer Winter, assistant professor in the School of Social Work and director of the Center for Body Image Research and Policy at the University of Missouri. For the study, which appears in Social Work in Public Health, researchers analyzed data from more than 12,000 students in more than 300 schools in all 50 states and Washington, DC. They looked at data related to eating behaviors, including frequency of eating breakfast and eating meals with a parent. The researchers found that eating breakfast during the week more frequently was associated with positive body image. 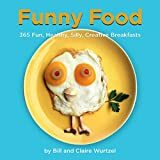 Just over half of the sample reported eating breakfast five days a week; however, nearly 17 percent reported never eating breakfast. More than 30 percent reported eating breakfast fewer than five times a week. Also, boys ate breakfast more often than girls did. Additionally, children were much more likely to have a positive body image if they regularly ate breakfast with a parent. Additional researchers from the University of Tennessee-Knoxville and Washburn University contributed to the study.